In 2012 we had an opportunity to join our friends Rabbi Arthur Starr, his lovely wife Linda and about 30 other Americans on a mission of mercy to deliver medical supplies and pharmaceuticals to Cuba. As we quickly discovered, there are no Walgreen’s or CVS drug stores on the island. A Cuban pharmacy is usually a tiny store with a handful of expired drugs and mostly empty shelves. However, the Jewish community that consists of about 2,500 souls has taken over the distribution of medicine to the Cubans because their government will not. If a Cuban or a family member is ill, they go to the local synagogue, of which there are five in the country, for help. Each Jewish place of worship includes a drug store brimming with medicines provided for free to the local populous. The medical missions are made up of many foreigners and faiths. On our trip we delivered these supplies to all five synagogues as well as a maternity facility. Once we took care of business, we were free to tour the island for the remainder of the ten days. We saw many interesting sites during our free time including two Jewish cemeteries that contained Holocaust Memorials. 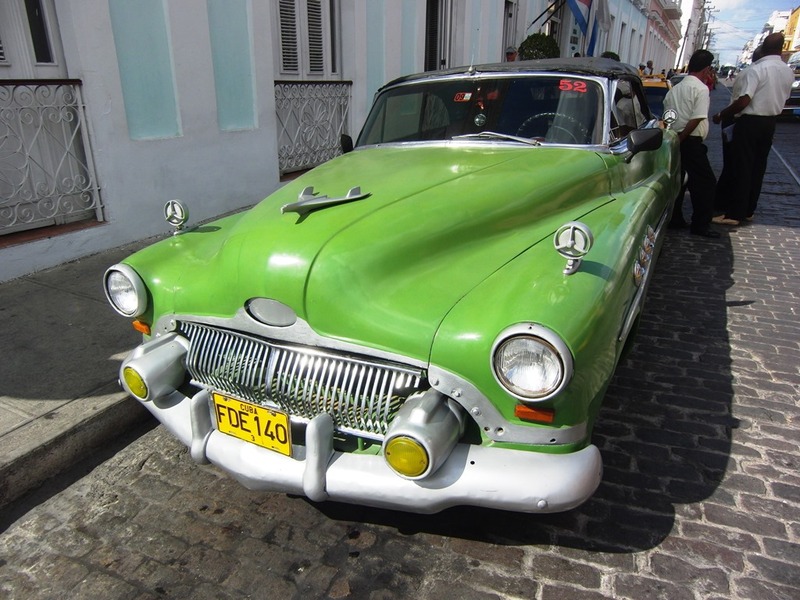 The town of Santa Clara is located about 170 miles east of Havana. 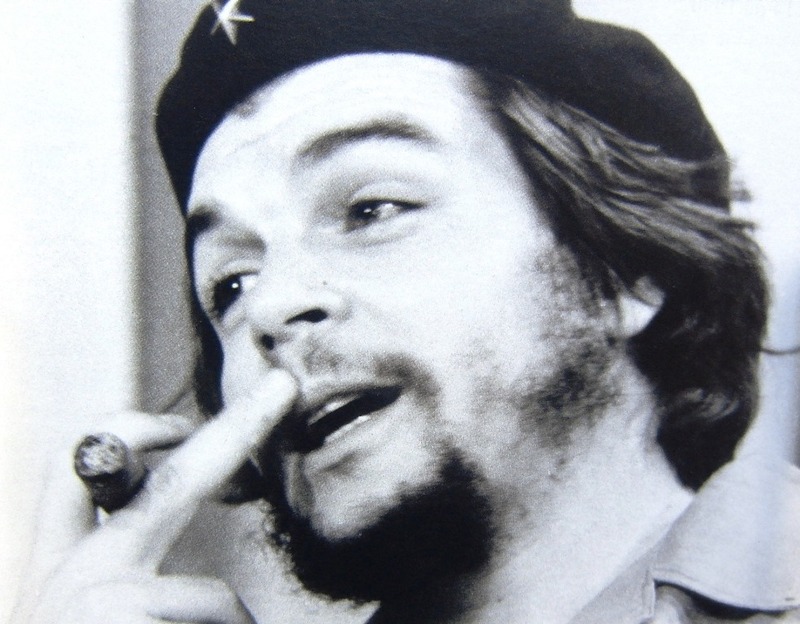 Most people visit this small city to see the huge monument honoring Marxist revolutionary Che Guevara. And we did stop to take some photos. However our main mission was to visit the crumbling Jewish cemetery and Holocaust memorial in town. Located on a dirt road lined with wooden shacks and banana trees, this seems an odd place for the monument. 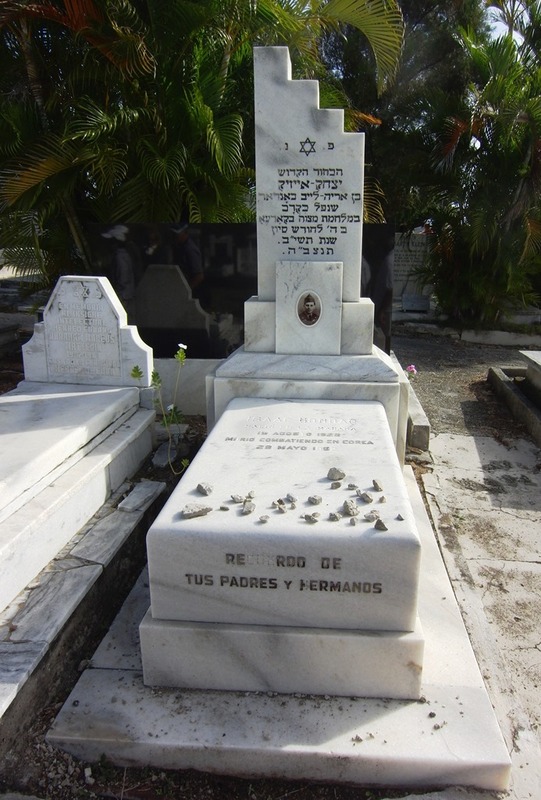 But through the efforts of the Jewish humanitarian Aida Wassarstein, who worked closely with the Cuban officials, the memorial was dedicated in October 2003 after four years of negotiations. Despite the fact that less than 30 Jews live in Santa Clara, over 200 people showed up for the dedication including the Bishop of the city. The monument is about seven feet wide and six feet high. It is made of locally mined marble. The memorial depicts a hand reaching over an electrified fence as well as railroad tracks and pebbles leading to the base symbolizing the train cars that carried Jews to Auschwitz. Across the top in Hebrew and Spanish is a phrase that translated to English reads: “Fading survivors, we have sculpted in bronze the tenacious promise of Jewish people: to always remember and intone melodies for the six million.” The center-piece is a cobblestone from Chlodno Street in the Warsaw Ghetto. It was donated by the U. S. Holocaust Memorial Museum in Washington, D. C.
Most of the monuments to the deceased have small stones placed on them by visitors. This is a Jewish tradition. 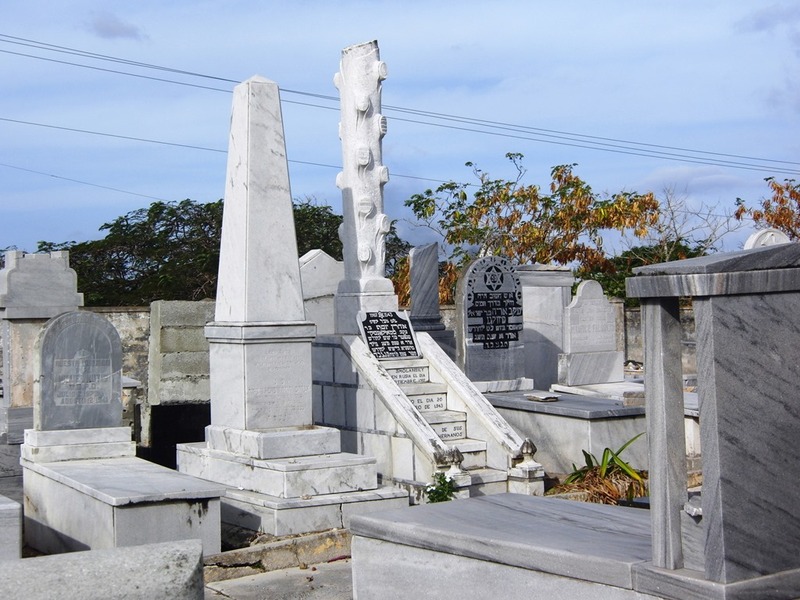 Located approximately six miles across the bay from Habana Vieja (Old Havana), in an area known as Guanabacoa, is this principally Ashkenazi cemetery. Unfortunately it is in a state of progressive deterioration and badly damaged in some sections. The Jewish community in Havana provides some care but lacks the funds to do the reconstruction properly. 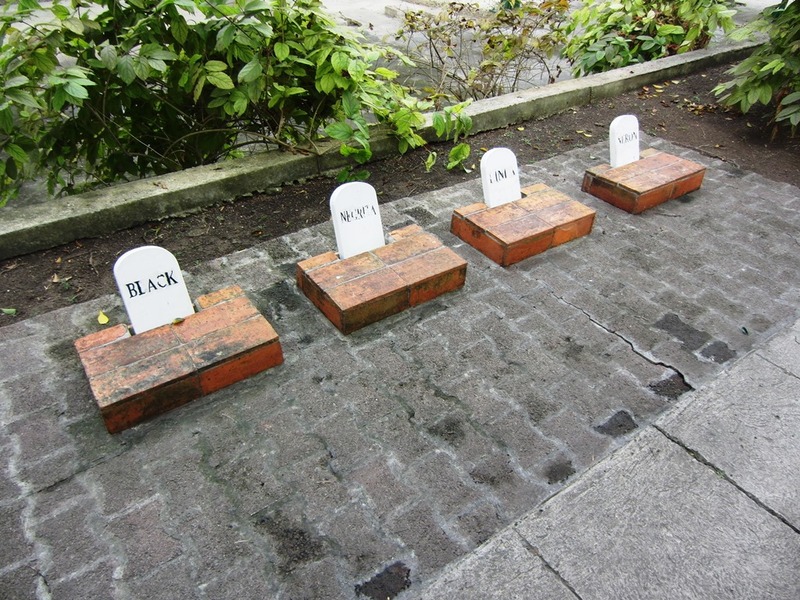 The burial ground is laid out as required by Jewish tradition. At the entrance is a building used to wash the body of the deceased. Just outside the gate is a faucet for visitors to wash their hands following a visit. The tombstones, known as matzevots in Hebrew, are aligned to face directly east or west. We noted inscriptions in Hebrew, Yiddish, Spanish, English and Russian. Universal Jewish symbols, Star of David, menorah, lion and candlestick to mention a few were noted. Many stones have en paz desonse or rest in peace carved on them. There are two cenotaphs in the cemetery. 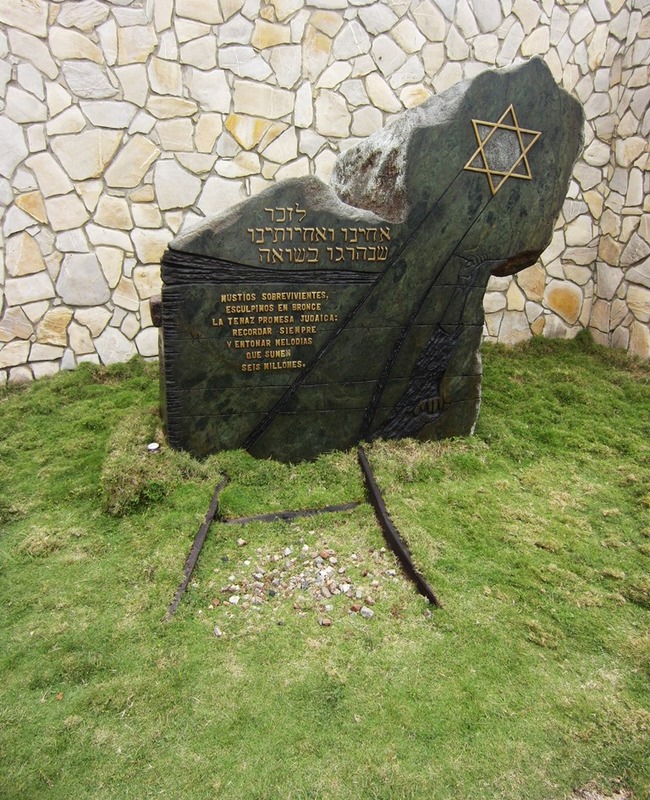 (A cenotaph is a monument erected in honor of a person or group whose remains are buried elsewhere) The Holocaust Monument is one of the first erected in Latin America. The other is the Muchado Martyrs Monument that remembers Jewish Communists of the Popular Hebrew Center. Finca Vigia (Lookout Farm) is in a small village about seven miles outside Havana. From 1939 until 1960 it was the home of Ernest Hemingway. It was here that the author wrote For Whom the Bell Tolls (1940), a novel about the Spanish Civil War that he covered as a newspaper reporter. 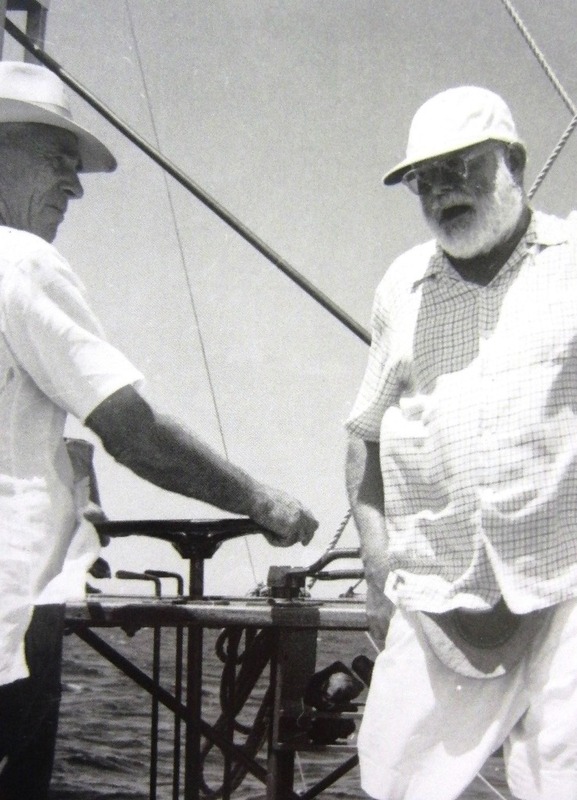 Hemingway also penned The Old Man and the Sea (1951) while living here. It is a tale about a fisherman who worked in the waters off Havana and his mighty battle with the largest marlin he ever hooked. Hemingway loved his pets. While at Finca he owned four dogs, Black, Negrita, Linda and Neron. All of them are interred in a lovely little brick cemetery behind the farmhouse.